Detailed purchase analysis through an interactive investment property calculator. Readily available valuation analysis to compare different investment properties. Invaluable insights on your neighborhood and investment property. 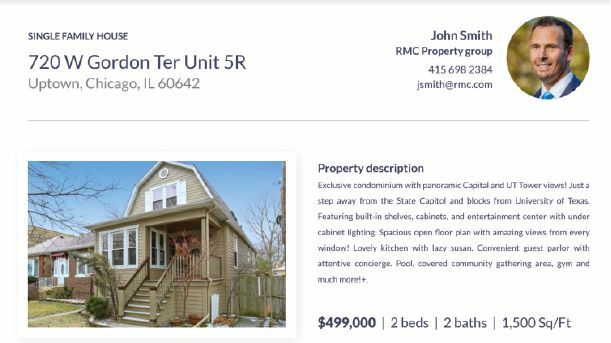 Investment property personalization and sharing. Mashvisor was designed with not only real estate investors in mind, but real estate agents/brokers as well. 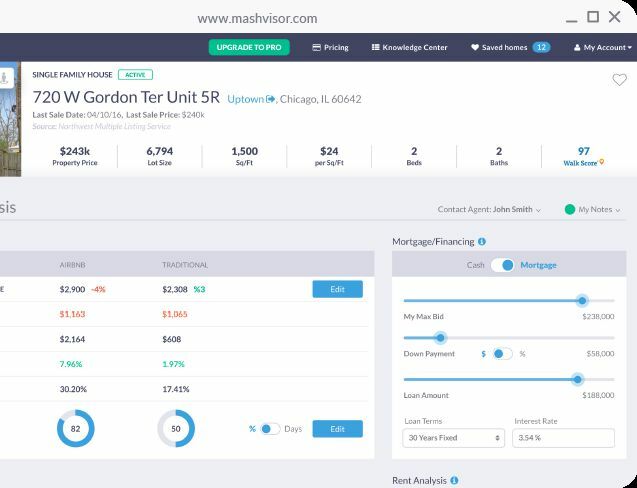 First time real estate investors will find great value in Mashvisor as it simplifies all the otherwise complicated processes of making a real estate investment, such as finding the property or analyzing its profitability, in addition to the hundreds of blogs and guides which can help new real estate investors arm themselves with knowledge to compete in the market. 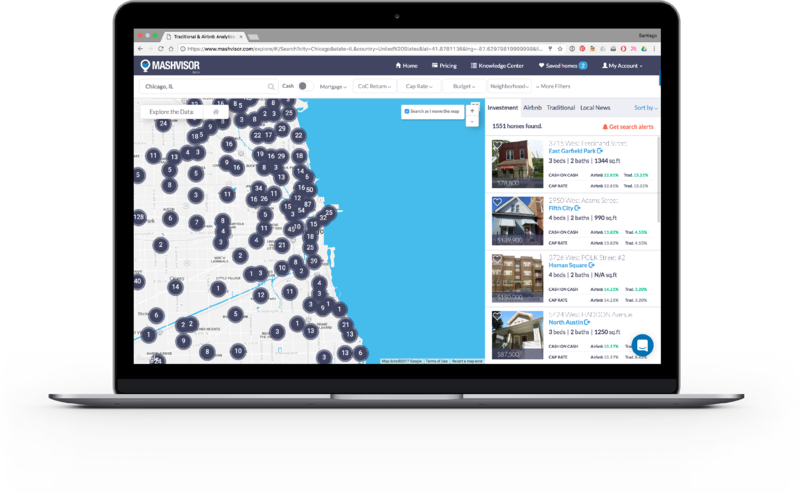 Experienced real estate investors use Mashvisor to acquire more accurate data to base their investment decisions on, and it saves them invaluable time which they would otherwise be spending on researching and analyzing investment properties and their data. 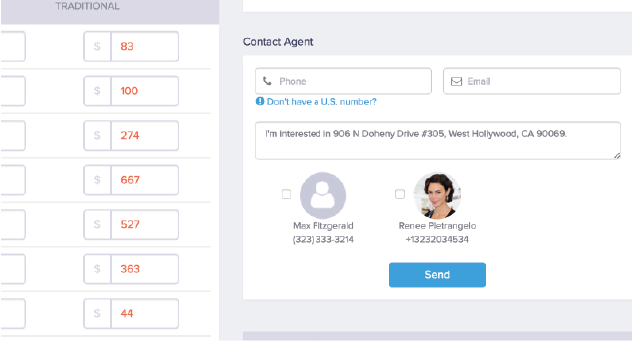 Real estate agents and brokers are able to list and advertise their properties on our platform, giving them access to a large number of potential and prospected investors, beginner and experienced alike, in addition to using the data provided by real estate agents to further optimize our data and compare to other investment properties in our database. What Data Does Mashvisor Provide? 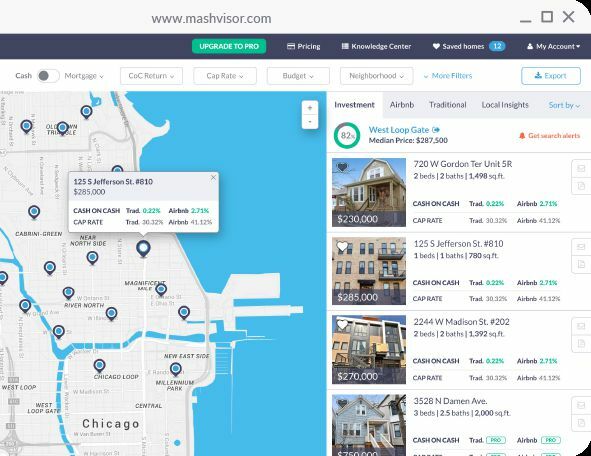 Mashvisor’s investment property finder tool provides investors with a very wide selection of comparative and analytical data, both quantitative and qualitative, and deep insights on investment properties and markets. In addition to several other metrics and options that are made available to you while using our platform and tools.